When you have a large target audience and broad email list, personalizing your marketing content can seem like an overwhelming task. However, with the right marketing technology, there are endless opportunities for dynamically personalized, engaging content that grows your business by boosting conversions. Dynamic personalization is the process of using a technology to ensure that every marketing touchpoint (email, webpages, forms) is automatically creating 1-to-1 personalized conversations and experiences based on data you’ve already asked or learned about your targets. This means that each time a target receives an email or visits a landing page, their name and information can be tailored and targeted so that each interaction is as unique to the target as possible. By using a powerful digital marketing platform, you can enable your business to incorporate dynamic personalization into your overall strategy seamlessly. For example, the Chainlink Marketing Platform allows you to easily create, manage, and optimize dynamically-populated and individualized emails, webpages, and mobile experiences for your customers. You can even customize individualized outbound messaging by utilizing information in their buyer persona and by analyzing customer interactions and behaviors. Your ultimate goal is to ensure that customers have a unique and personalized buying experience. You might already know that tailoring your online content to your unique visitors’ profiles drives engagement. But are you personalizing your messaging programs and making them dynamic? If your content is dynamic, it means that it’s constantly adapting to be the most up-to-date and relevant as buyer personas change over time. Chainlink Marketing Platform tracks every single interaction and touch point, allowing you to know your customers on a deeper level, and market with personalized messaging and content directly to Buyer Personas. Buyer Personas are your ideal customers that you can present customized offers to drive higher engagement and purchases. Dynamic personalization empowers users to speak to each customer or prospect with an individualized voice and message. 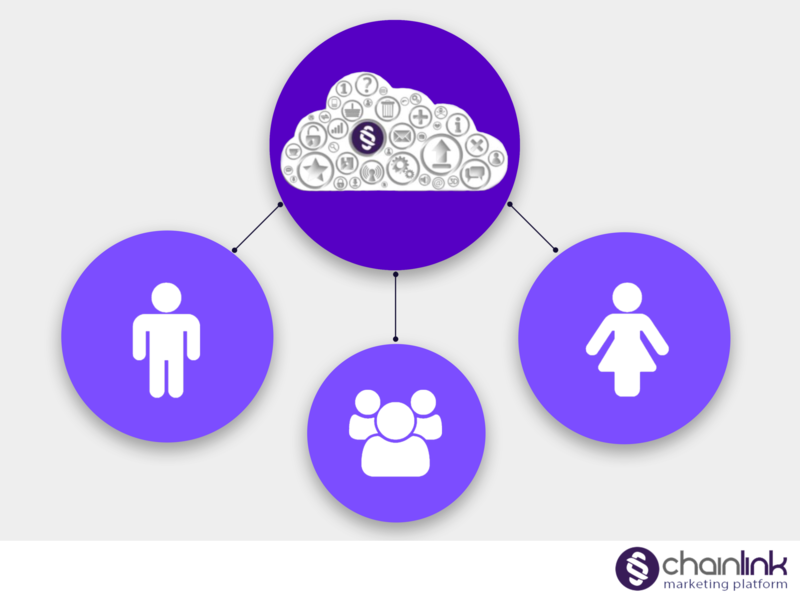 The Chainlink Marketing Platform provides a unified view of all your Buyer Personas by aggregating behaviors, transactions, profile data, social media stats, and by empowering this data the 1:1 messages and offers that can take your business to the next level. The best approach to personalization is to start unique conversations with each target across all channels and throughout the buyer’s process or customer life cycle. With the right digital analytics and marketing automation capabilities, your business can create campaigns that account for the individualized differences between members of your target audience. The Chainlink Marketing Platform provides advanced marketing automation, business intelligence, and attribution across all marketing channels and efforts. With that kind of technology, your company can reveal more valuable information about your leads than you ever thought possible. No matter the circumstance, our Chainlink Marketing Platform knows each of your customers and can help you identify the best time and method to reach them. If you are committed to genuinely engaging with customers and boosting conversions, then using a platform like the Chainlink Marketing Platform is what your business needs. Want to learn more about how the Chainlink Marketing Platform can be a total game changer for your business? Sign up to request closed beta access to the Chainlink Marketing Platform below!